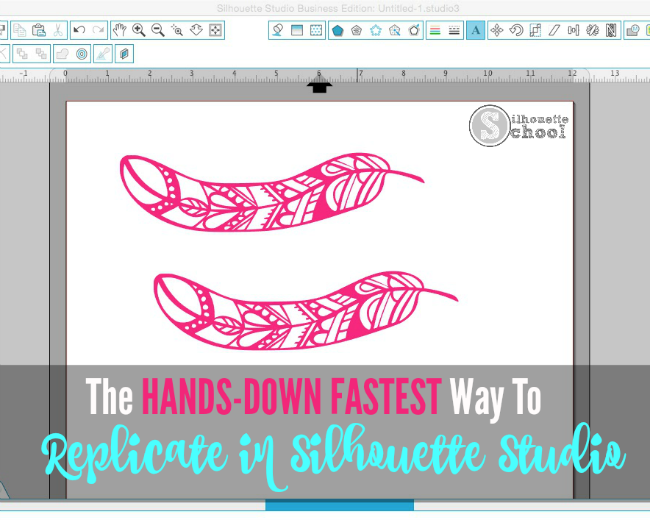 There are nearly half a dozen ways to replicate a design or text in Silhouette Studio. You can copy/paste, you can right click, you can use the Fill Page function, you can use the functions in the Edit menu, you can use the Replicate tool, you can use the replicate shortcut...but the easiest of them all is a simple click and drag of the mouse. Open up Silhouette Studio and open up a design from your library or type out a line of text. Select the design or text. Now, while holding down the 'alt' key on your keyboard, click your mouse on the design and drag it. You'll basically peel off a duplicate. You can actually keep holding down alt and keep pulling off duplicate copies. Unlike some of the other replicate and duplicate methods, this option drops the design wherever you leave it so spacing and alignment will be up to you - the software will not automatically place the design a certain distance from the original or keep it in line with the original. But if you need a fast second text box or you want to quickly keep a copy of your design ALT + Drag needs to be part of your Silhouette wheelhouse. 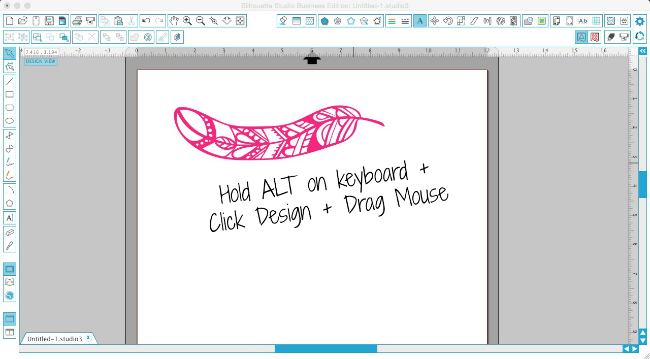 Here's a quick video so you can see even more clearly how to use this Silhouette Studio keyboard shortcut. Thanks for the tip....that is awesome! Whoa!! That's fantastic. Needed this yesterday, but will defiantly use it in future. Thanks! WOW! if I had only gotten this email yesterday.. Can't wait to use this option of copy and paste.. my favorite part is that I can drag it where ever I want it to end up! Thank you so much! Thanks again Melissa. Your the best!!!!! I hold the Ctrl key and hit the arrow key...which ever way I want to duplicate. You can make a lot of copies very fast this way! This is slick too! I LOVE this! Thank you! I learn so much here!